It has been a long time since I have not updated this blog. 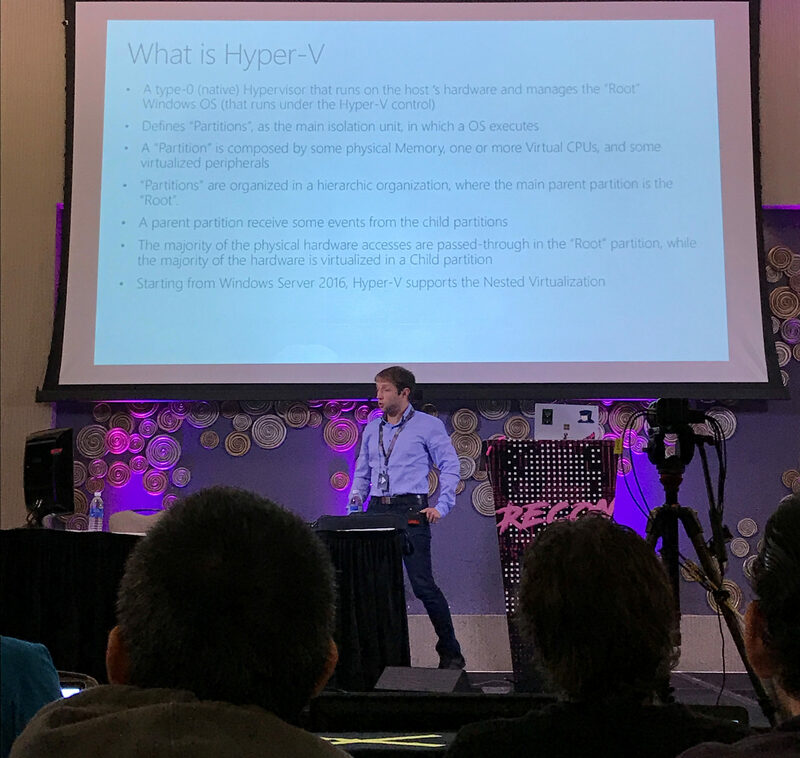 Today I just want to share with my readers the results of my reverse engineering work that I did on HyperV and I have presented in the last edition of the Recon Conference in Montreal. This edition (May 2017) was quite good, with some interesting talks. We had some good time there, and I have even learnt something. I take the occasion even to say that our Intel Processor Driver has been improved. Now it fully supports HyperV Root partitions (this was my demo in the Conference) and runs quite good. I do not know if I can publish the new source code (I need an approval before), but at the time of this writing I have published the compiled code into our GitHub repository. Richard has pinpointed to me some bugs of the IDA plugin and on the driver. I have even improved those. I am still trying this technique, but potentially it should work. I have only some concern about the timing in which the PMI interrupt will be delivered (this is why it is not considered a threat). Long story short: Some other tests are needed. Am I perhaps saying that someone is copying something from someone else? Of course not. 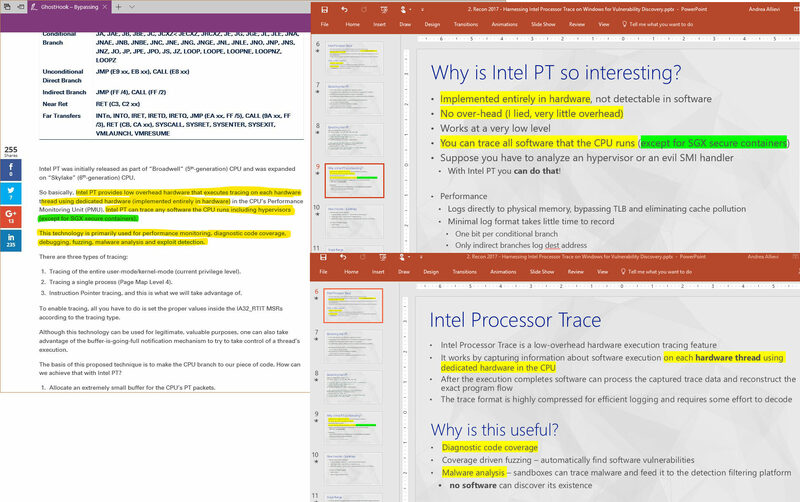 This method have been idealized by Cyberark, and uses a “side effect” of the PT PMI Interrupt. The method is original and belongs to them, … but at least THERE IS SOMETHING that is common. ps. Again I say that this is my personal blog. I would like to precise that all the impressions, thoughts and information contained here are mine, and not official company statements.